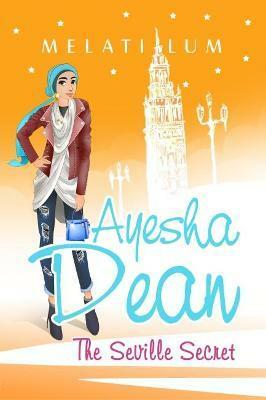 Ayesha, Sara & Jess are back in an exciting new adventure, and this time they're off to Spain! When a fellow passenger's beloved grandpa strangely disappears, Ayesha and her friends gladly join in the search for the missing person. But as Ayesha delves further into the mystery, the more sinister the stakes become! Ayesha finds a link between the missing person and a seventeenth-century diary that contains clues to an ancient mystery. However, each step closer to discovery seems to pose greater chances of peril. Can Ayesha uncover the truth without putting herself and her friends in mortal danger? 'Ayesha Dean is a heroine for our time. Smart, courageous and persistent, she teaches us about the world and about ourselves. Melati Lum has created a young detective for a diverse world, and I'm excited to read more of her adventures!' - KAMRAN PASHA, author of 'Mother of the Believers' and 'Shadow of the Swords.' ; 'Ayesha is a clever and enchanting sleuth solving a new mystery against a fascinating historical backdrop.' - AUSMA ZEHANAT KHAN, award-winning author of the 'The Unquiet Dead' & other books in the 'Khattak/Getty Mystery Series', and 'The Khorasan Archives' fantasy series.